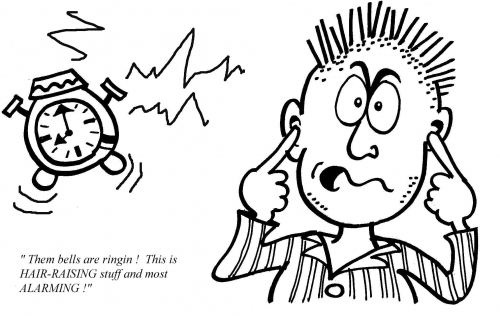 Trrinnnn Trrinnnn … Beep Beep…Blink Blink… – Hope this is what comes to your mind when you hear about Alarms. 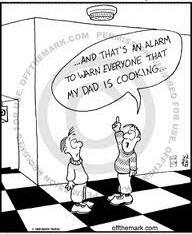 Wake Up Alam, Fire Alarm, Emergency Alarms are one of those few alarms which alerts us when we listen/see them. We then either respond to them / ignore them. And we all know ignoring them may get us in trouble —- Getting late at office/college, getting caught in fire or emergency & we may land up paying a lot for our ignorance. Alarms are there to avoid such critical/ troublesome situations, to get cautious & alert, to act & respond to them on time and to tackle them wisely. Do all Alarms have these sound/ light effects which get attention easily? Or, have u ever heard of “SILENT ALARMS” too? Let’s move from the theoretical image of alarms to the practical image. Alarms is anything which passes on a signal to be cautious, to pay attention, to be alert, as something disturbing, abnormal, dangerous awaits us. With these in mind, we can conclude that they cannot be symbolized with sound & lights only. They can be in the form of circumstances, in the form of experiences, in the form of instances & in the form of incidences faced by us in our day-to-day life. But, to listen to these & to see these… we don’t just need our ears & eyes … but the capability of understanding the unsaid & looking at the unseen. We need to observe & we need to react accordingly. But, how to recognize such Alarms? How can we judge? Is it worth to be so judgmental? Is it fine to keep everything under the scanner & analyze each & every person for each & every act? Answer is of course “NO”…you cannot see everything with doubt & suspicion. But, at the same time you cannot ignore anything that seems to disturb you, that warn you, that demands your attention. 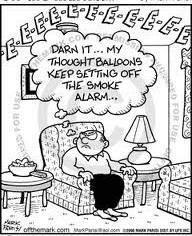 Because alarms are for warning & if ignored we may land in big trouble. Never ever ignore any alarming situation. Develop a good vision to analyze your circumstances. Alarms are for responding not for ignoring. So,Wake UP friends, Stay Alert & Stay Happy…!! This entry was posted in Life and tagged Akanksha Rastogi, Alarm, Alert, cartoon, Caution, comics, Fire, friends, Life, lifestyle, opinion, Philosophy, Random, Smoke, Thoughts, Wake up by Akanksha. Bookmark the permalink. I know Akanksha – sometimes it appears we have so much screaming at us. But, you’re right alarms are there for a purpose at least to check it out. Hi Pat…Thanks for reading & sharing your views. A very nice and alerting blog!!! 1) They are always to the point. 3) Interesting because of different images. 5) Many bloggers liking it. My one question to you. Since when are you blogging babe? Thanks a lot for the wonderful feedback. Its nice to see how you have framed up the “best” things. Well, writing is my hobby..& I love jotting down thoughts as and when they come to my mind. I love to observe, analyse & come to a conclusion on all that’s happening around us & most of my blogs are a result of such experiences. Writing a book since two years, but changing the story again and again. This time, once again, I might got to restart the book. Now I understood how does blogging and writing a book differ. I got to learn quite a new things from your post.. So keep posting and I will keep learning. The bells.. to wake us – our conscious , to get us into reality from imagination..